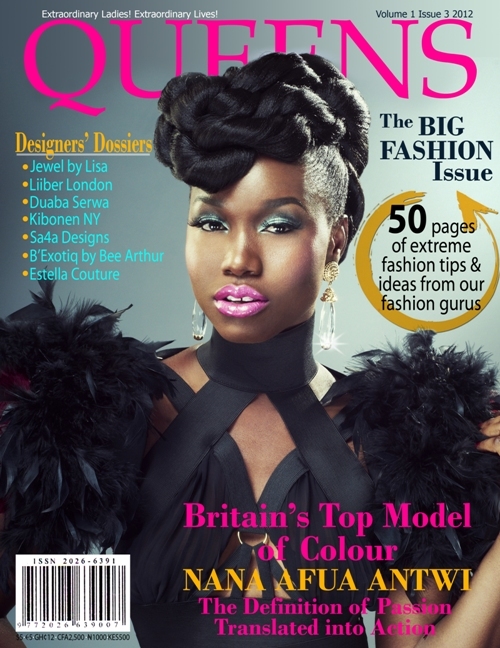 BIG FASHION ISSUE of QUEENS Magazine has multiple award winner Nana Afua Antwi on the cover. The Britain supermodel who won M&M model award in 2009/2010, Britain's Top Model of Color in 2010/11, Best Model at BEFFTA Awards 2011/2012 and Humanitarian Recognition award 2011/2012. Ghanaian born Nana Afua Antwi elegantly graces the cover. She has also covered and featured in many international magazines such as Capital Ace Magazine, Tropics Magazine, New African Woman Magazine, Blackhair Magazine, Ebony Magazine, Black Hair Magazine, etc. In an exclusive interview with QUEENS Magazine, Nana Afua Antwi reveals what it takes to follow our passions and live our dreams. She talks about her life as a Fashion designer, TV host/Presenter and philanthropist. 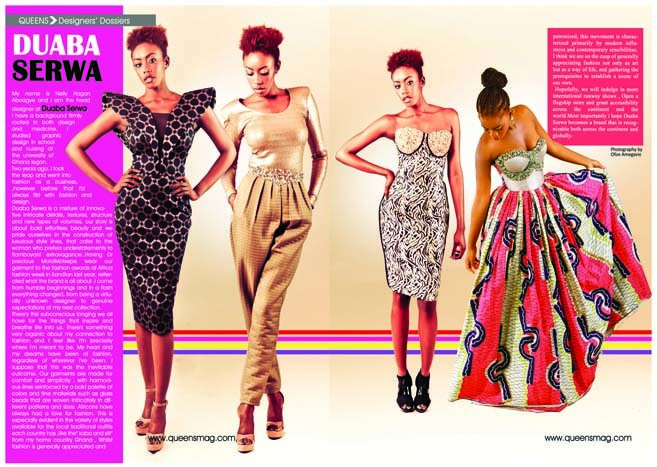 This issue of QUEENS Magazine also features some of Africa's top designers. 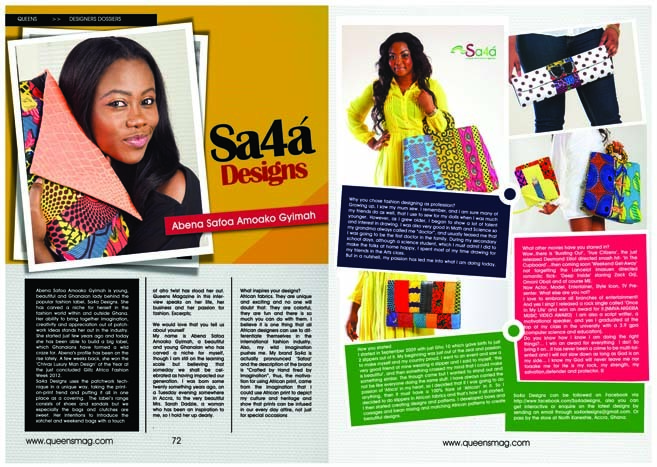 Jewel by Lisa (Nigeria), Kinonen NY (New York), Duaba Serwa (Ghana), Liiber London (London), Sa4a Designs (Ghana), B'Exotiq by Bee Arthur (Ghana), Estella Couture (U.S.A). It is a splash of colors from beautiful fashion accessories and trends of the moment. A display of exquisite and futuristic clothing designs from the aforementioned designers including fabulous style tips – how to wear what when and where. Visit www.queensmag.com for more.